The All-New HR-V which has been making waves in every country it has been launched, will be hitting Malaysian shores in February 2015. The All-New HR-V (Hip & Smart Runabout Vehicle) is a new generation vehicle that fuses together the dynamic qualities and secure feelings of an SUV, the excitement and personal feel of a Coupe and the functionality and comfort of a Minivan. 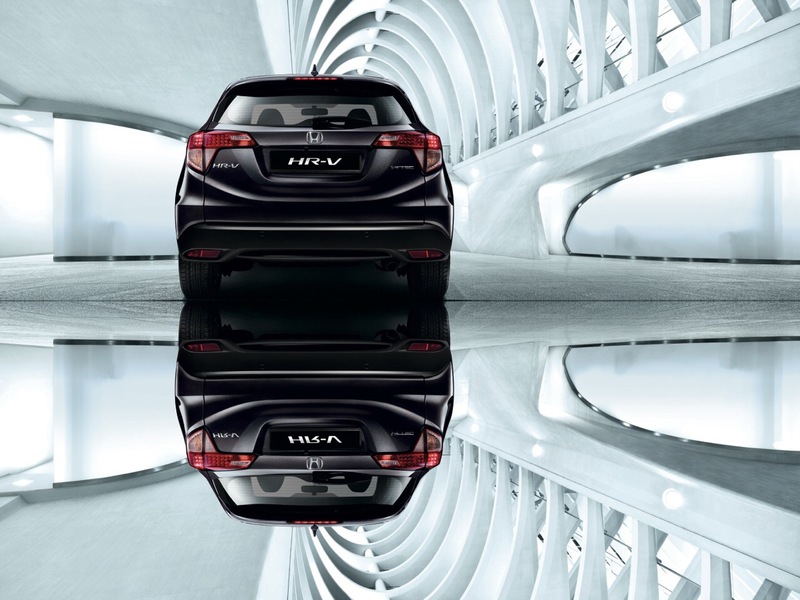 In essence, the All-New HR-V is a perfect marriage of individuality and usability. 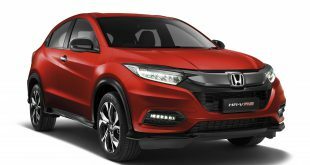 The All-New HR-V is a new segment in vehicle offerings and this Dynamic New Generation Compact SUV is set to be well received in Malaysia as it incorporates spaciousness, user-friendliness and functional in its features. With smart interface features and advanced technology adoptions, this new generation compact SUV is set to deliver dynamic performance that combines elegance and fun while providing top safety. Under the hood, the All-New HR-V features a 1.8L i-VTEC SOHC engine built on a new Continuous Variable Transmission (CVT) developed under Honda’s Earth Dreams Technology that enhances both driving performance and fuel economy. The new compact and lightweight CVT features high-efficiency electric oil pump and high strength belt, which improves fuel economy and ensures smooth rapid acceleration. Size-wise, the All-New HR-V measures 4,294 mm in length, 1,772 mm in width and 1,605 mm in height with a wheelbase of 2,610 mm. The wide viewing angle was secured through optimization of the width and angle of the front pillars in order to provide good visibility for the driver. With perfect eye point level, drivers have better viewpoint and a greater sense of security. Driving comfort is further enhanced with low centre of gravity. Keeping to its sporty and bold style, the car is fitted with 16” alloy wheels. This multi-dimensional compact SUV has increased body rigidity and stability with its super high tensile steel including hot-stamped materials installed at appropriate spots. In addition, the front and rear parts of the body were effectively reinforced to realise the lightweight and highly rigid body that generates sportiness and linear driving performance. Driving pleasure is enhanced with reduced noise, vibration and harshness (NVH), by adopting high-performance sound absorbing and insulating materials installed in the rear area and front inner fenders, floor carpets and floor undercover. The front face is designed to look bold and tough with unified stylish front grille that’s created under the ‘Solid Wing Face’ concept. The strong distinctive character lines on the sides fuse together the sleek cabin of a coupe and the dynamic lower body exudes toughness. Combining the character lines and rear door handles which are integrated into the side windows, the feeling of an elegant and sporty two-door coupe was created. The interior design of the High-deck Centre Console is made possible for the first time by adopting the Electric Parking Brake, replacing the hand/foot brake. The new design allows drivers to have their own personal space without infringing into the passenger space. Along with the High-deck Centre Console, a new kind of Multi-utility Drink Holder is developed to not only hold drinks but also to store personal items. In order to enhance the All-New HR-V’s amazing cabin space for driver and passengers, the length of the seat bottom was increased creating ample legroom, while the seatback angle was optimised for better seating posture. This provides optimum comfort and reduces strain to drivers when driving for long hours. The All-New HR-V features high quality material as fabric and soft pad were used for most occupant touch points. Honda’s original centre-tank layout enabled the realisation of a large cargo space and minivan-like rear seats with ample elbowroom. The All-New HR-V is further supported with the Multi-utility cargo space that allows various configurations of seating. The seat dimensions are set for easy manoeuverability and can be arranged into 3 modes – Utility Mode, Tall Mode, and Long Mode. The tailgate opening is as wide as 1,180 mm while the ground height of the tailgate opening is 650 mm, one of the lowest within the class, providing convenience for easy loading and unloading. Its smart interface features include a 7-inch Display Audio, One Touch Turn Signal and Touch Panel Air Conditioning for a smooth, at-your-fingertip operation. This innovation supports the smart drive concept that is evident in the All-New HR-V. The speedometer also features an illumination ring, which changes colour based on the driving mode to indicate economical driving. In effort to provide enhanced protection for vehicle occupants and other road users, Honda has embraced a comprehensive approach to vehicle safety that seeks to provide a high level of active and passive occupant protection along with features such as Anti-lock Braking System (ABS), Electronic Brake-force Distribution (EBD), Brake Assist (BA), Vehicle Stability Assist (VSA), Hill Start Assist (HSA), Emergency Stop Signal (ESS), Daytime Running Light (DRL), ISOFIX and 6 Airbags (Dual Front SRS Airbags, Side Curtain Airbags and Side Airbags). The All-New HR-V comes with the new Automatic Brake Hold feature that can be easily activated with a push of the switch. Once it’s activated, whenever the driver stops the vehicle by braking, the system automatically holds the vehicle in position without the driver stepping on the brake. This provides convenience to the driver when in a temporary stationary mode. Another new feature introduced in the All-New HR-V is the Electric Parking Brake. It is an advanced parking brake which can be operated by a switch lever. When the conditions (seatbelt and shift position) are fulfilled, the system automatically releases the parking brake with the step of the accelerator pedal. For more information, please call Honda’s Toll Free number at 1-800-88-2020, or log onto www.honda.com.my.